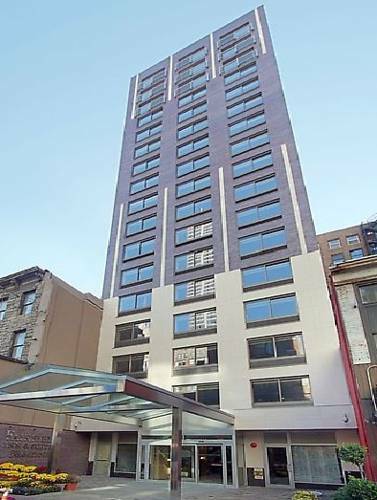 Your NYC adventure begins here at the Fairfield Inn & Suites New York Manhattan/Chelsea! Our award-winning hotel showcases an outstanding location in the Flower District, just a few steps away from Penn Station. Great attractions like Chelsea Piers, Empire State Building, High Line, Metropolitan Pavilion and Herald Square are easily within reach. Comfortably appointed hotel rooms and suites feature free Wi-Fi, plush bedding, and well-lit work desks. Begin your morning here in NYC with our free hot buffet breakfast before exploring Chelsea or wandering through famous Central Park. Other hotel amenities include a fully-equipped fitness center and a full-service business center. It's our location that really sets us apart; with Penn Station and several subway lines within walking distance, NYC is yours to discover. At the Fairfield Inn & Suites Chelsea, you're our #1 priority. We promise you'll be satisfied, or we'll make it right. That's our commitment to you. Ask us about The Fairfield 100% Guarantee.